From her office window in Hogg Hall, Tracie Addy enjoys a sweeping view of the bustle of students and faculty crisscrossing the Quad. With every professor-student encounter she observes, it’s a daily reminder of the importance of her work to enhance teaching and scholarship and create an even stronger sense of community and fellowship among faculty. 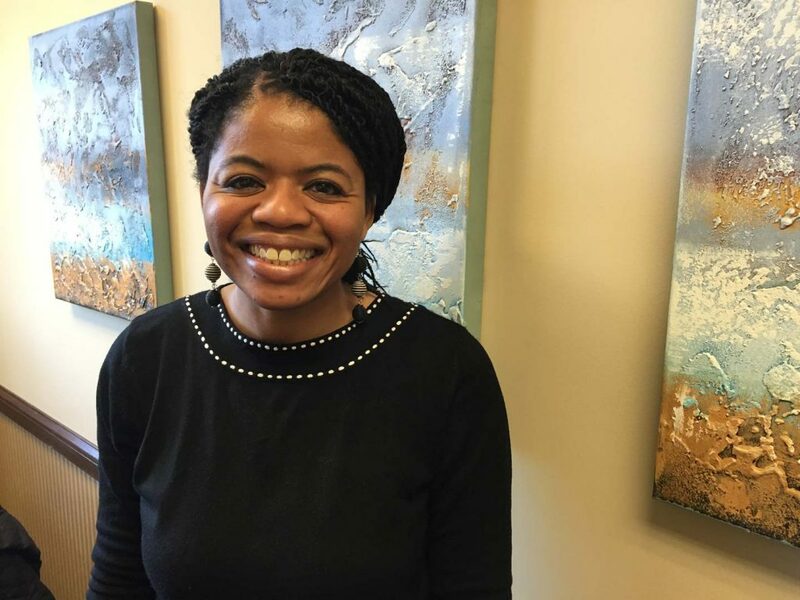 Formerly associate director of faculty teaching initiatives at Yale Poorvu Center for Teaching and Learning, Addy came to Lafayette eight months ago to become the first full-time director of the Center for the Integration of Teaching, Learning, and Scholarship. Addy’s work complements the College’s growth, its commitment to increasing financial aid, the hiring of more faculty, and attracting more students from different socioeconomic classes. In working and collaborating with faculty, Addy knows what it’s like to lead a classroom and the rigors of scholarly life. She taught at both Yale and Quinnipiac University prior to coming to Lafayette. During a quiet morning over spring break, she discussed her goals, her strategic plan, and what drew her to Lafayette. If you had to identify your primary goal, what would that be? Since August, I’ve done quite a lot to build this center, but my primary goal is to think of myself as a partner to faculty. Sometimes teaching centers can be mistakenly thought of as only operating in a deficit model, a place to go only when there’s an issue with teaching. That can happen, but that’s not the primary goal. Ninety-nine percent of my work is thinking about how to enhance the faculty experience as teachers as well as scholars here. What are some of the key areas of your three-year strategic plan? Increasing the visibility of teaching at the institution, trying to think about how to bring out these awesome teachers who are here, and how can we have more discussion and dialogue around teaching are all key elements of my strategic plans. In doing so, I have organized programming that promotes pedagogical conversations. I also established two teaching-related newsletters based upon successful models at Yale. One is Lafayette Teaching Excellence, which looks at profiles of Lafayette faculty to promote teaching visibility. It puts a window into their classroom. Feedback from faculty says that they learn something every time they read the newsletter. Another one is Teaching and Learning, which highlights current research. I find an interesting study, article, or topic that’s relevant to the community and present the data. All are welcome to subscribe to the newsletters from the center’s website. How are you inspiring conversations and visibility among faculty? I’ve initiated events that create discussions around teaching, including the Inclusive Teaching and Excellence Series, and have more in planning. This aligns with the College’s strategic goals, so when we think of preparing faculty for a more diverse class that series looks at having conversations around it. Some of the sessions will involve panels of faculty, students, and speakers. A recent event we held in partnership with Skillman Library was on course affordability. If we admit more students from lower socioeconomic classes, how do we make it more affordable for them to take classes? Another session is coming up on April 11. Dr. Kendall Moore, an award-winning documentary filmmaker and professor of journalism and film media at University of Rhode Island, will be on campus to show her film about underrepresentation in STEM fields and the barriers that prevent inclusion. We’ll run a workshop with her that talks about creating allies among faculty for students who are underrepresented in STEM. This is a wonderful partnership with inclusive STEM at Lafayette, and aligns nicely with establishment of the Hanson Center for Inclusive STEM Education. It will make people think, and ideally act, upon what is discussed. That’s what many of these conversations are about—it may be somewhat uncomfortable when we talk through these topics, but that is the beauty of it all. Faculty appreciate having the opportunity to engage in these dialogues and tackle hard questions. What are the expectations among the growing number of younger members of the faculty? I work largely with new faculty and run their three-day orientation to the College and meet with them throughout the year. I get to know them very well—one of my jobs is encouraging their success. Some are more established and came here later in their careers; others are new to teaching and bring with them different energies. Regardless of their career stage, they are all very supportive of students. Faculty at a school like Lafayette are generally very interested in teaching and scholarship and want to interact with students. Many new faculty are interested in thinking about scholarly ways of teaching. Some also bring experiences with evidence-based teaching from graduate school. One of my other goals is to interact with faculty across the board—new, mid-career, and more established faculty, acknowledging faculty members’ differing stages of career development. What are some other ways where you’re bringing faculty together? Faculty here have their teaching observed and evaluated for tenure and promotion reasons. It’s high stakes, and I saw they wanted other low-stakes opportunities, so I brought in a program called Teaching Squares, where faculty from diverse disciplines form a group of four and observe other methods of teaching. It has allowed faculty to see each others’ classes. The goal isn’t necessarily to obtain or provide feedback but to reflect on their own teaching and build community. Another thing that I love about Lafayette is that many faculty come to me to bring ideas for programs. That’s a great sign. I’ve been able to partner with so many of them. What led you to Lafayette? When I considered this position, I was thinking about my husband’s line of work as a neuroscientist at Yale, and it looked like the perfect opportunity to move into the next phase to direct a center at an institution that highly values teaching. My husband, children, and I live in between Yale and Lafayette now and had to consider all that would go into a relocation. This position kept eating at me because there were so many aspects of the College that were very appealing—the strategic directions, the value it places on teaching, increasing the diversity of the student population, and more. In general, I love that teaching is so important here—it’s so valued by the faculty and creates a special environment.